Today guest on Fire and Adjust is Adam Rivette co-founder of Barrel Backers, a veteran owned and operated business that believes in the freedom of better beer for everyone ! Barrel Backers is co-founded by two sets of brothers, 3 of witch are Army Veterans who all went to West Point, and Adam tells an interesting story of how him and his brother Dan actually got a chance to serve together for a short period of time while in the Army. Adam recalls having his first craft beer, it was after a long day of snowboarding in Colorado twelve years ago. It was a Fat Tire, and it completely redefined what beer could be to him. It was different, delicious, and brewed right down the road from where he was staying. Adam was hooked ! When he had to move to Georgia for his last duty station, he realized just how much he missed his favorite beers from Colorado. That does not seem like a big problem right, just order a case online and have it delivered to your home. Nope, not gonna happen ! Well, not until Barrel Backers stepped in. This is an episode your not going to want to miss, so grab your favorite beer and get ready to learn how you can explore craft beers from around the country with Barrel Backers. 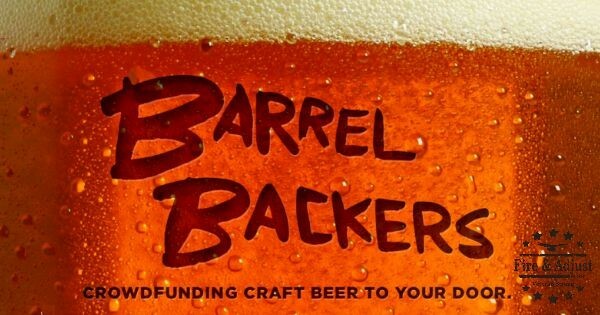 Crowdfunded Craft Beer, a Win for Everyone ! Do you have a Favorite Beer you can't get anymore ?